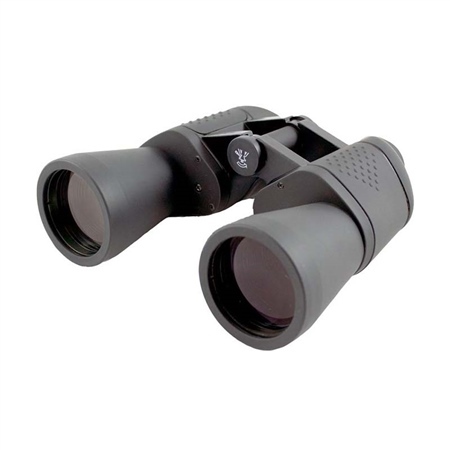 Superb value waterproof 7 x 50 focus free, nitrogen filled binoculars with long eye relief. It's manufactured with a robust rubber armour body and offers a range of 367ft (132m) at 1000 yards. Complete with carry-case and strap. Focus-Free refers to the fact that the binoculars have been set to focus on a distant object with the optics using your eye's natural ability to focus, rather than relying on manual adjustment and focusing mechanisms. For the price, I took a punt on these binoculars as part of a wider order for other chandlery items - and to be honest I'd forgotten I'd ordered them until I opened my delivery. What a surprise I got when I finally got around to using them! Clear viewing, sturdy, and all round good quality considering how much I spent on them. Well pleased with the binoculars,good value for the money.!! I bought these to replace a similar pair I broke by standing on them whilst fighting with a wayward sheet. Probably not the highest quality optics in the Zeiss class, but a good, clear image. Waterproof and no focus mechanism to leak or go wrong. Given the abuse they will get on board, a remarkably cheap pair like this makes sense and represents excellent value.